GERMANY: Dong Energy's 312MW Borkum Riffgrund 1 in the North Sea has exported its first power to the German grid. It is Dong's first German offshore project to be connected, four months after the first Siemens 3.6MW turbine was installed. Turbine installation at the 312MW Borkum Riffgrund was delayed by a "few weeks" after Siemens admitted to production delays on the delivery of the turbines. The commissioning date was not be affected, Dong and Siemens said at the time. 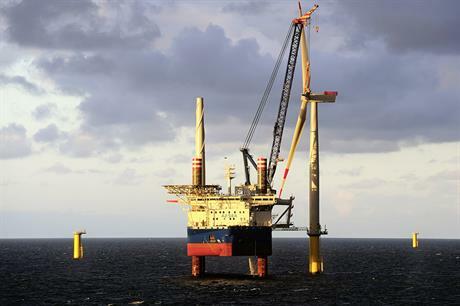 Installation of the 77 remaining turbines is continuing at the site located 37 kilometres off the Island of Borkum, northern Germany. Full commissioning is expected to take place this year. Borkum Riffgrund 1 is being development by a consortium consisting of Dong Energy (50%), Kirkbi (32%) and William Demant (18%). In December, Dong acquired the 215MW Borkum Riffgrund West 2 offshore project from developer EnergieKontor for up to €12 million.